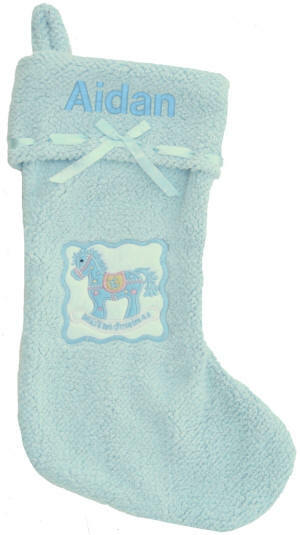 A soft and cuddly blue fleece stocking with a blue fold down cuff, laced with a blue satin ribbon. 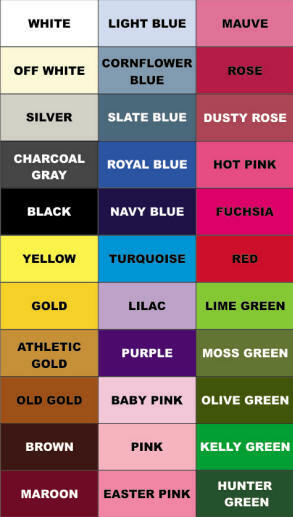 The applique of a decorative rocking horse is embroidered with the words Babys 1st Christmas. The stocking front is lined, the back is blue fleece. This Christmas stocking is 19 in. long and 8 in. wide. This Christmas stocking is for decoration purposes and is not a toy. Do not wash, wipe with a damp cloth.